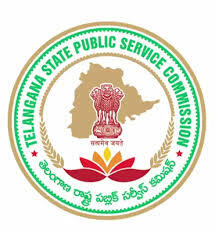 TSPSC Field Assistant Syllabus in Telugu 2018, TS Dairy Field Assistant Model Exam Papers, TS Dairy Filed Asst Previous Year Question Papers Download – Telangana Public Service Commission (TSPSC) has announced the latest recruitment to fill up Field Assistant jobs at Telangana State Dairy Development Co-operative Federation Limited. The Posts will be fill up by the TSPSC. Candidates who have passed Inter Bi PC (Intermediate with Biological Science of State Board of Intermediate Examination) they can apply through the official site of TSPSC before the last date. Applicants also check other details related to TS Dairy Field Assistant Notification 2018 like how to apply, selection process, educational eligibility, salary, syllabus in Telugu and more details given below. జ‌న‌ర‌ల్ నాలెడ్జ్ మరియు ఇంట‌ర్మీడియ‌ట్ స్థాయి బ‌యోలాజిక‌ల్ సైన్సెస్ నుంచి 75 ప్ర‌శ్న‌ల చొప్పున‌ మొత్తం 150 బ‌హుళైచ్ఛిక‌ ప్ర‌శ్న‌లు ఇస్తారు (మల్టిపుల్ ఛాయస్ ప్రశ్నలు). 150 మార్కులు. రెండున్న‌ర గంట‌ల్లో స‌మాధానాలు గుర్తించాల్సి ఉంటుంది.